$10 RSVP fee required per attendee to reserve your spot at the event. 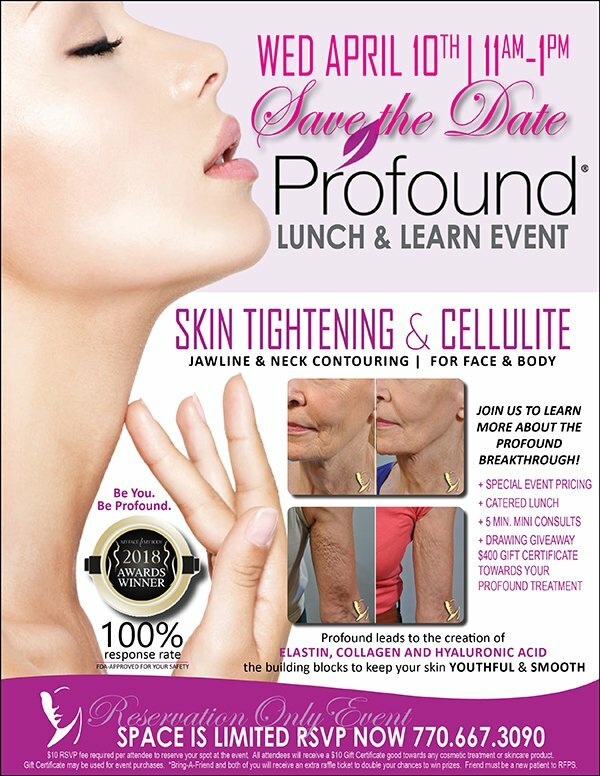 All attendees will receive a $10 Gift Certificate good towards any cosmetic treatment or skincare product. Gift Certificate may be used for event purchases. *Bring-A-Friend and both of you will receive an extra raffle ticket to double your chances to win prizes. Friend must be a new patient to RFPS. 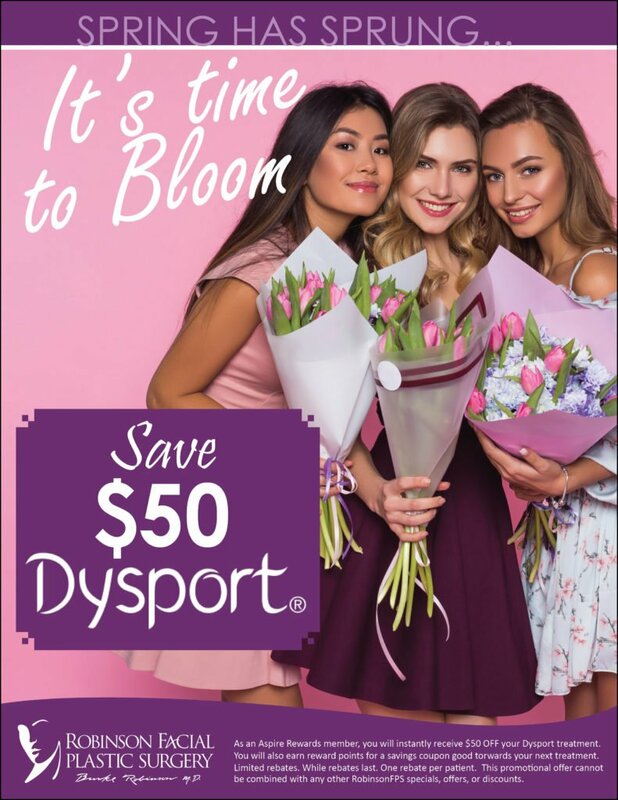 As an Aspire Rewards member, you will instantly receive $50 OFF your Dysport treatment. You will also earn reward points for a savings coupon good torwards your next treatment. Limited rebates. While rebates last. One rebate per patient. This promotional offer cannot be combined with any other RobinsonFPS specials, offers, or discounts. 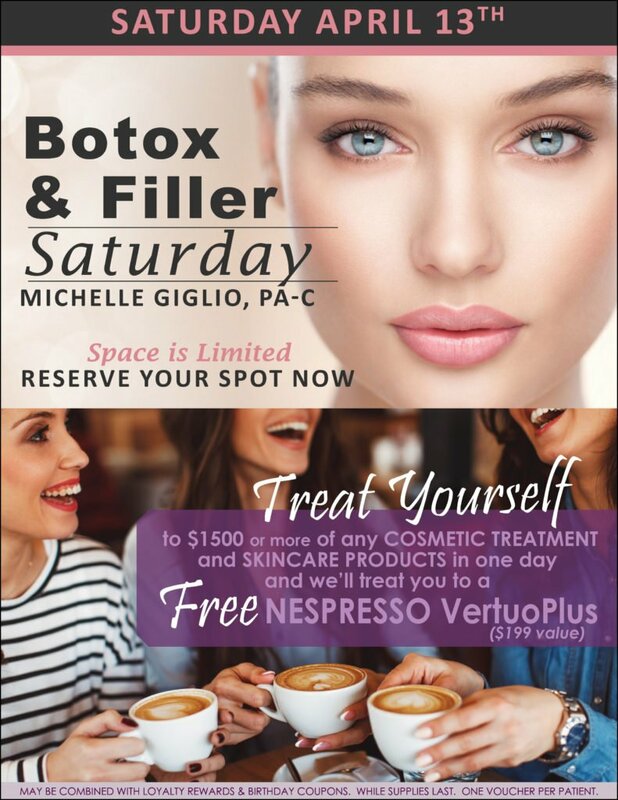 Treat Yourself to $1500 (or more) with any cosmetic treatment(s) and skincare products in one day and we’ll treat you to a FREE Nespresso VertuoPlus ($199 value). May be combined with Loyalty Rewards & Birthday coupons. While supplies last. One voucher per patient. Valid with both Dr. Robinson & Michelle Giglio, PA-C. This is not a pre-pay special offer. Promotion ends 4/30/19. Aspire Reward points will be earned with your treatment. For additional savings, this offer may be combined with earned Aspire Reward coupons. Cannot be combined with any other RobinsonFPS specials, offers, or discounts. 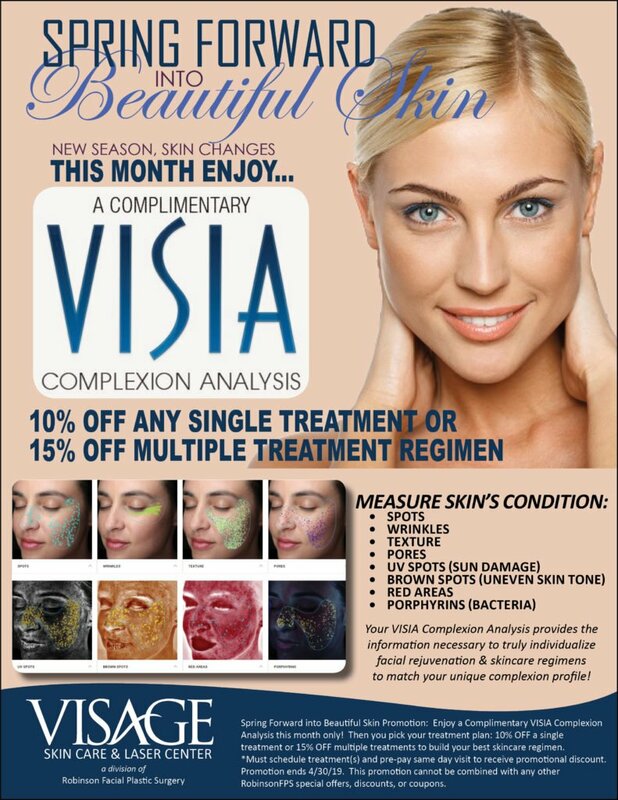 Spring Forward into Beautiful Skin Promotion: Enjoy a Complimentary VISIA Complexion Analysis this month only! Then you pick your treatment plan: 10% OFF a single treatment or 15% OFF multiple treatments to build your best skincare regimen. *Must schedule treatment(s) and pre-pay same day visit to receive promotional discount. Promotion ends 4/30/19. This promotion cannot be combined with any other RobinsonFPS special offers, discounts, or coupons. 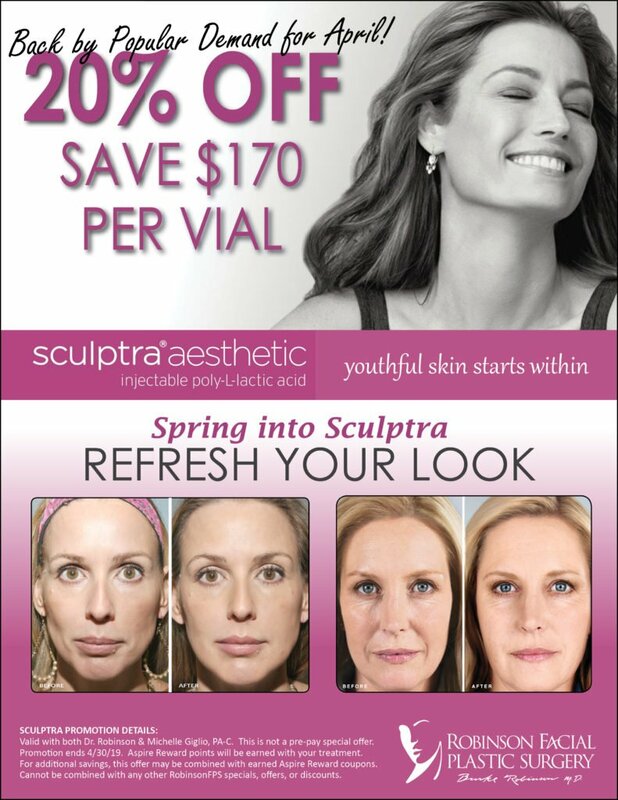 CALL 770-667-3090 TO SCHEDULE YOUR APPOINTMENT TO TAKE ADVANTAGE OF THESE SAVINGS!